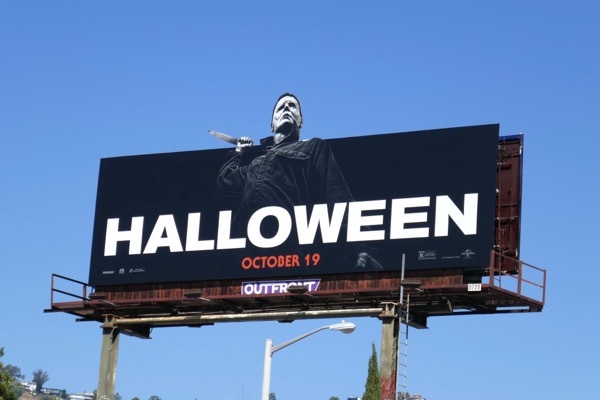 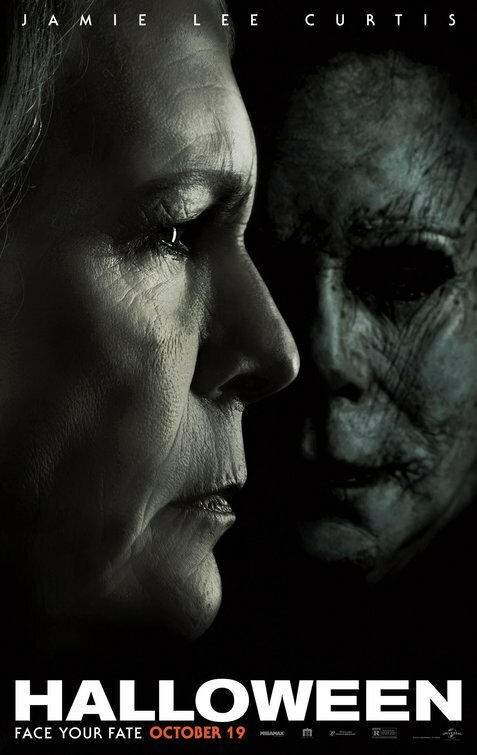 In the new sequel to John Carpenter's 1978 horror classic, Halloween, Jamie Lee Curtis reprises her role as 'Laurie Strode', the babysitter who survived the killing spree of 'Michael Myers' four decades before, in a film which jettisons all of the nine subsequent franchise installments. 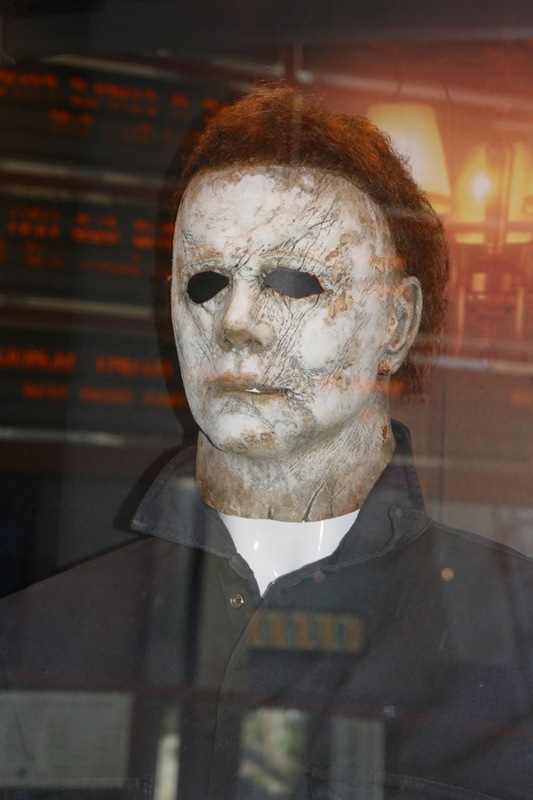 Still living in the fictional town of Haddonfield, Illinois, with a family of her own, she's still haunted by the events of 40 years ago when a maximum security prison bus transporting Michael Myers from the psychiatric facility he's been held in for decades crashes and the killer returns to terrorise her and a whole new generation of people at Halloween. 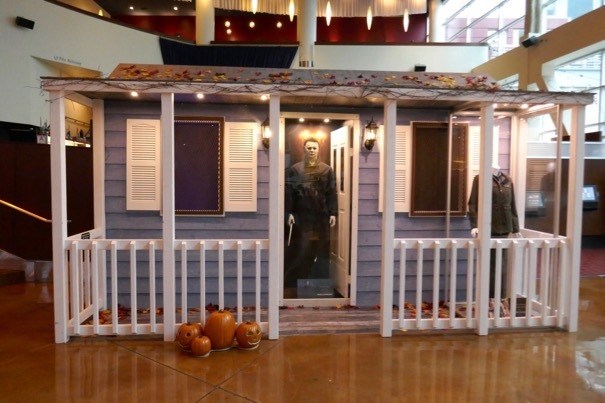 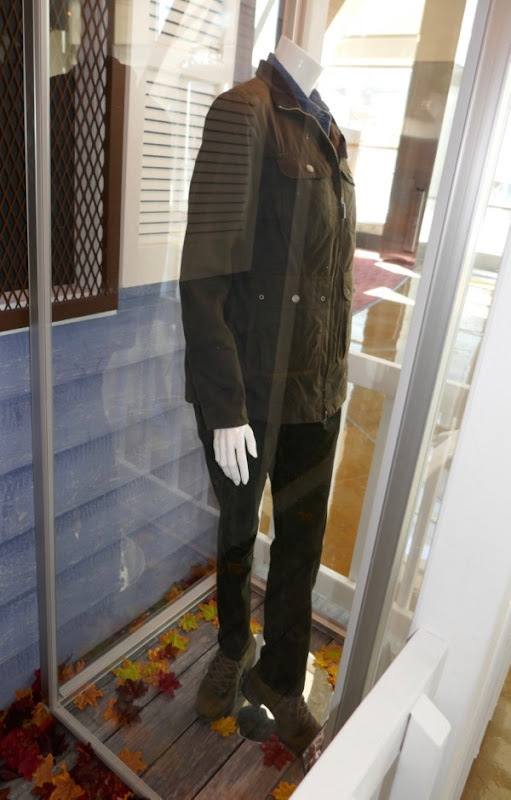 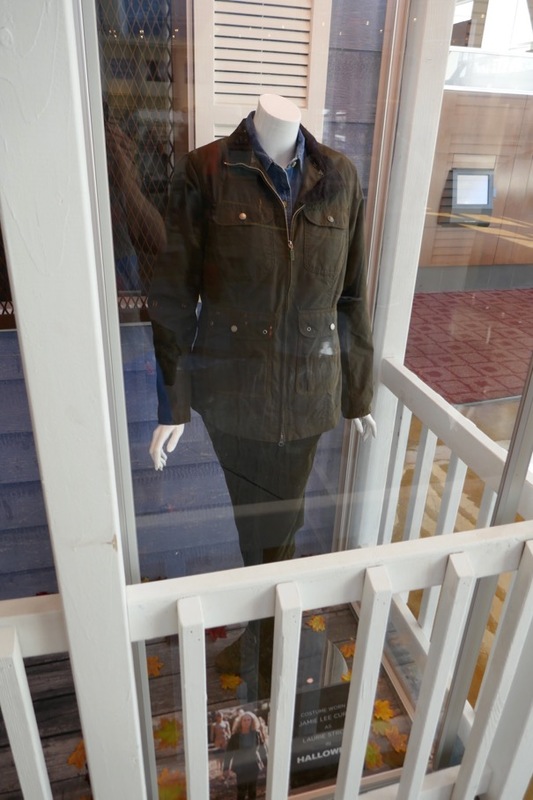 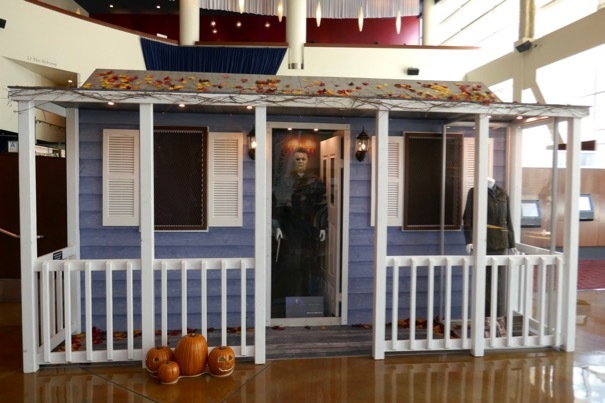 This fantastically spooky costume and house porch installation for the slasher flick was photographed on display at ArcLight Hollywood cinema on October 11, 2018. 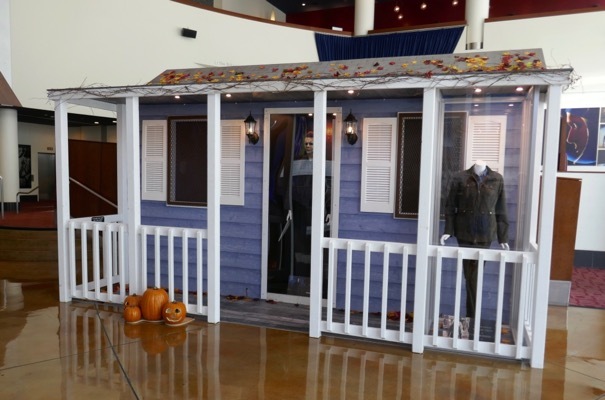 Emily Gunshor was Costume Designer on this horror movie directed by David Gordon Green. 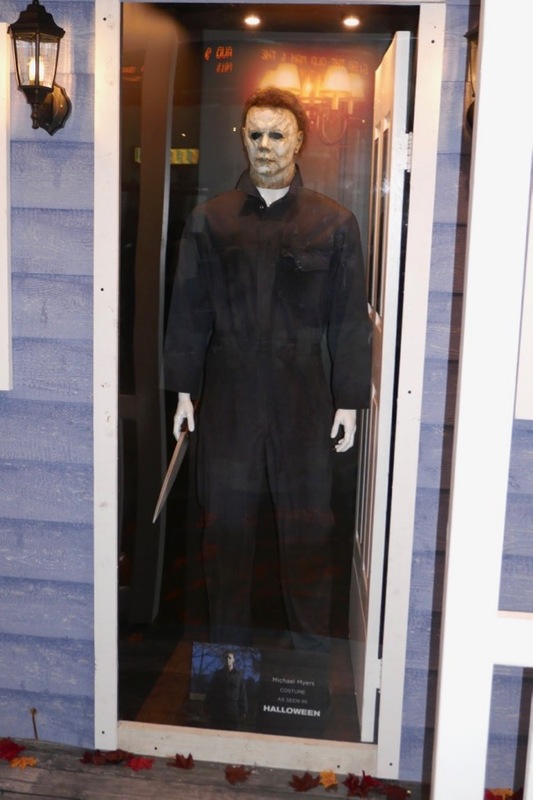 In the movie Michael Myers is played by stuntman-actor James Jude Courtney, but there is also a cameo appearance by Nick Castle who portrayed the psycho killer in the original film. 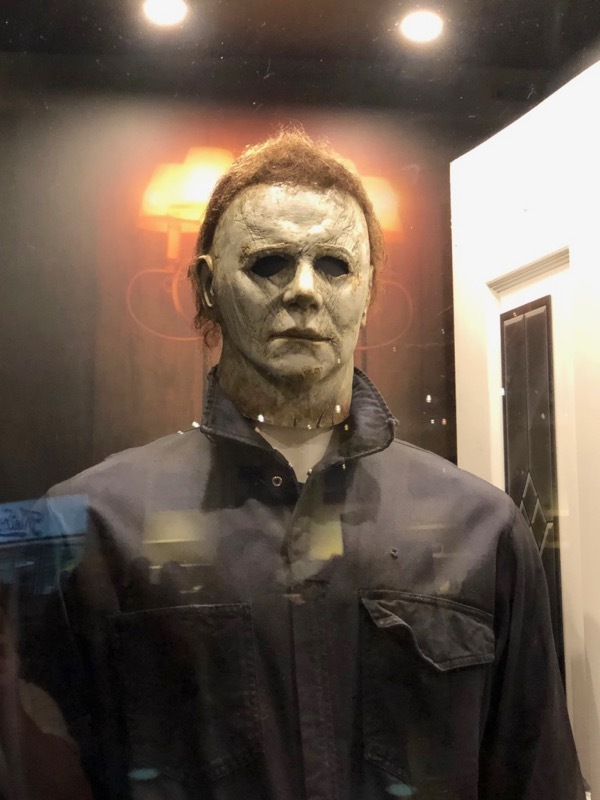 For years Laurie Strode has been obsessing about the return of the murderer and it turns out she was right to be prepared. 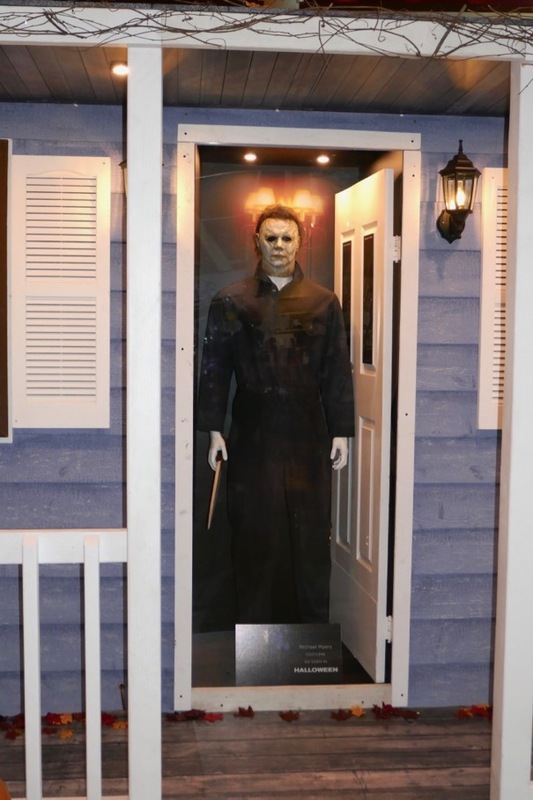 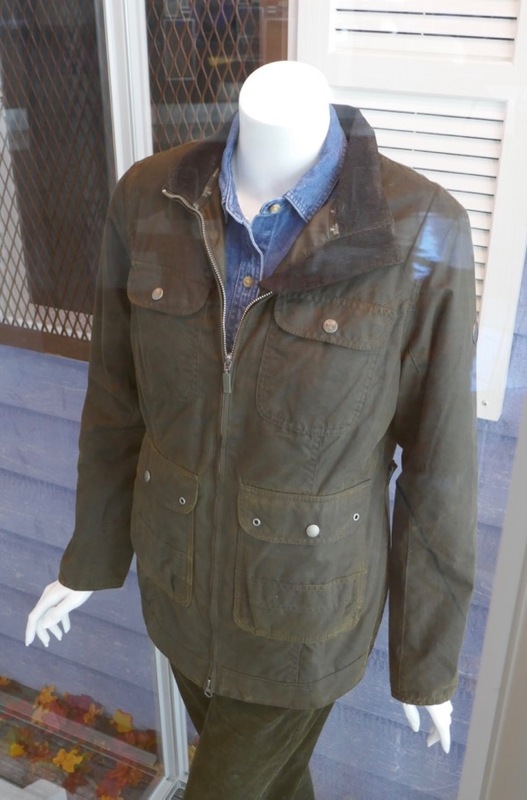 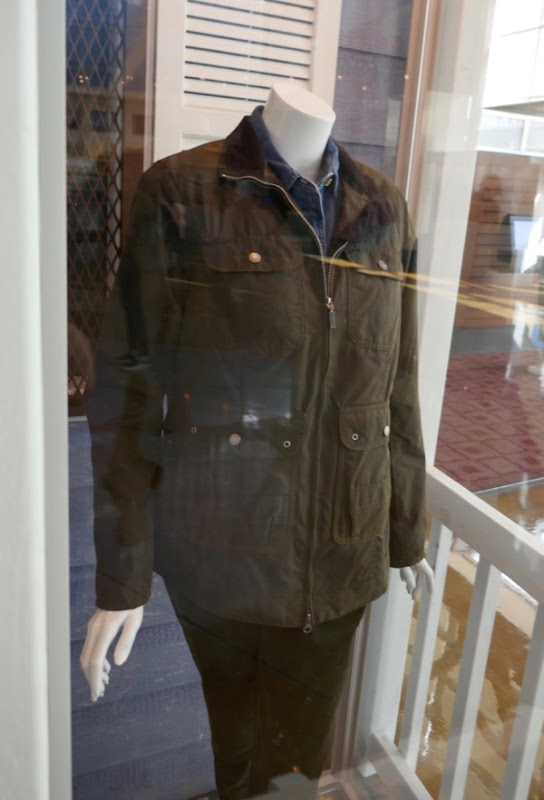 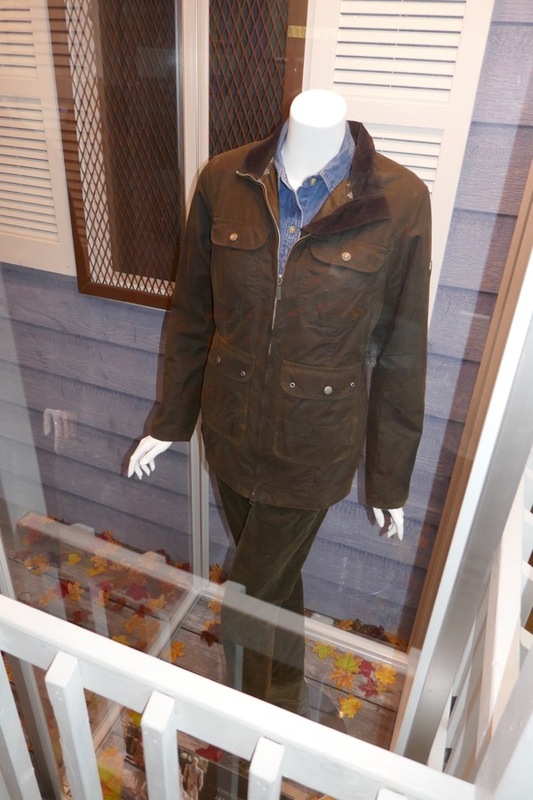 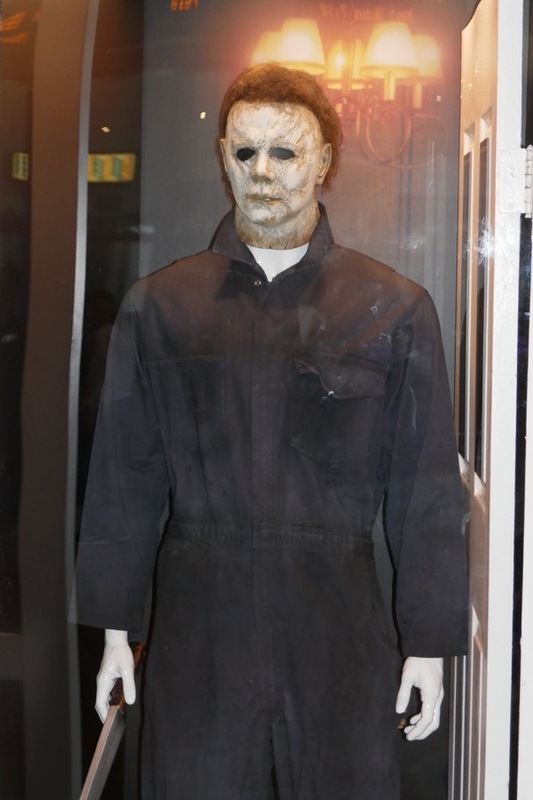 If you're looking for more spooky costumes and props to get you in the Halloween spirit, be sure to also check out all these other horror costumes and props from the big and small screen on display, including from the IT Movie, TV's American Horror Story, Alien: Covenant, The Conjuring and Insidious: Chapter 2 to name but a few.